After months of federal investigations into its role in fueling the epidemic of teenage vaping, Juul Labs — maker of one of the more popular brands of e-cigarettes — announced Tuesday that it would stop selling most of its flavored pods in stores, as well as its social-media promotion. 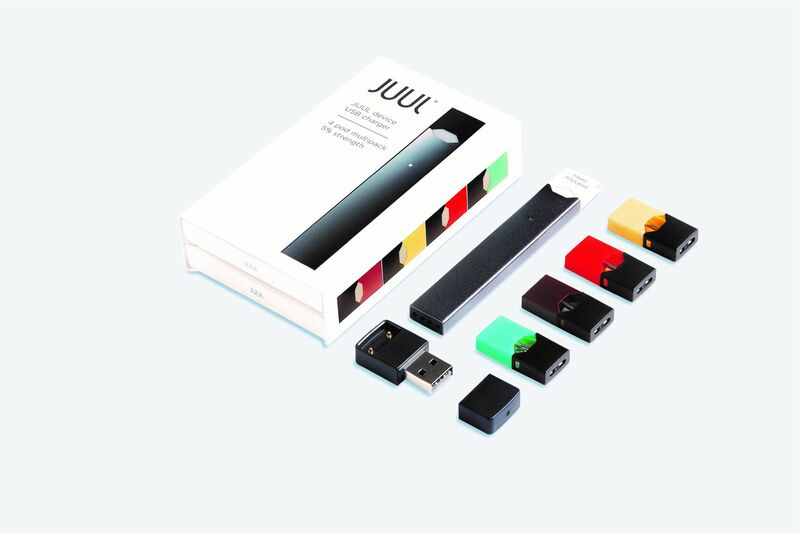 The move comes after the U.S. Food and Drug Administration collected marketing documents during an inspection of Juul's headquarters last month and demanded that the company, along with other e-cigarette manufacturers, show how it would restrict sales to minors. "We cannot allow a whole new generation to become addicted to nicotine," FDA Commissioner Scott Gottlieb said in a news release at the time. In September, e-cigarette manufacturers were given 60 days to produce a plan to curb youth vaping. Otherwise, the FDA threatened to remove their products from the market. Juul's announcement comes days after that deadline passed. It arrived shortly before the FDA was expected to announce a plan to ban sales of flavored e-cigarettes in convenience stores and gas stations. In a statement, Juul Labs CEO Kevin Burns said the company shares the same goal as the FDA. "We cannot be more emphatic on this point: We don't want anyone who doesn't smoke, or already use nicotine, to use Juul products — especially youth." But Juul's e-cigarettes — which look nothing like cigarettes — are wildly popular with teens. Designed to look like thumb drives, they can be charged on laptop computers and can be easily hidden in a sleeve. The e-cigarettes produce tiny vapor puffs from the flavored nicotine fluid they contain in pods. The San Francisco-based company, founded in 2007, has captured nearly 70 percent of the U.S. e-cigarette market. Philadelphia Health Commissioner Tom Farley said the company's actions don't go far enough. "Juul is making these changes because it is under pressure from the FDA. But if they were serious about protecting kids, they would discontinue all of their flavorings and target their marketing specifically to adult smokers who want to quit," Farley said in a statement. A National Youth Tobacco Survey found that more than two million middle and high school students used e-cigarettes in 2017. Yet teens are often unaware that the products — those of Juul and similar brands such as Myblu and KandyPens — contain nicotine. Juul said that as of Tuesday, it has stopped selling pods in mango, fruit, creme, and cucumber flavors in stores across the country. Those products will be available only on the company's website, where it uses age verification. In the statement, Burns said it was never the company's intention to attract young users with its flavors. Yet research shows flavors are a driving force behind youth interest in e-cigarettes. Several cities have moved to ban flavored tobacco products, which largely include e-cigarettes, cigars, and cigarillos. A measure introduced in City Council this year failed after the state prevented individual cities from enacting new tobacco restrictions. Juul will continue to provide menthol, mint, and tobacco-flavored e-products in stores. Those flavors are available in regular tobacco products as well, though the FDA is expected to announce a ban on menthol cigarettes this week. The company also announced that it would shut down its accounts on Facebook and Instagram. Moving forward, it said, it will use only Twitter for non-promotional communications and YouTube for testimonials of adult former cigarette smokers who have switched to Juul. The videos are already restricted to viewers 21 and older.